Here are some rare videos from the life of Mahatma Gandhi — The first TV Interview and his speech at different places. 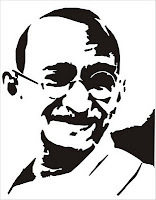 The first ever made TV interview with Mahatma Gandhi by Fox Movietone News. Thank You So Much For Your Kind Remembrance, Wishes on my Birthday. May God Bless.